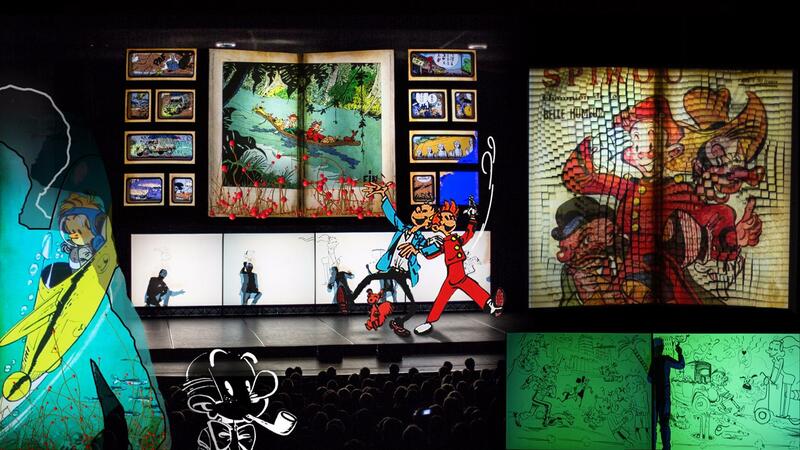 On the occasion of the big closure evening of the 75th anniversary of Spirou, iconic character of the belgian comic books, that took place at the Palais des Beaux Arts of Charleroi, the team Dirty Monitor has collaborated with Fabrizio Borrini and Roberto Cassol in order to propose an original show. 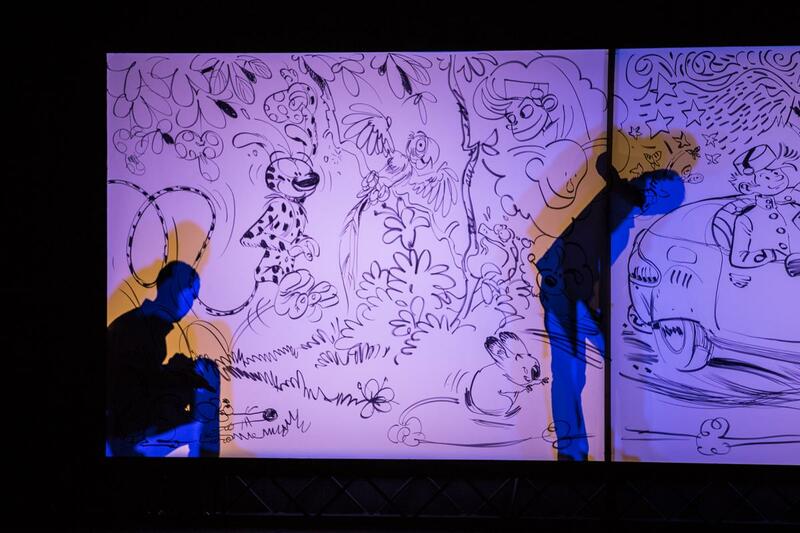 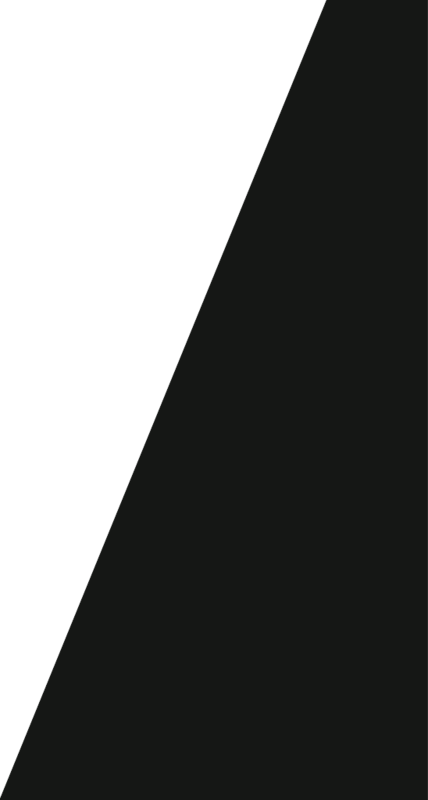 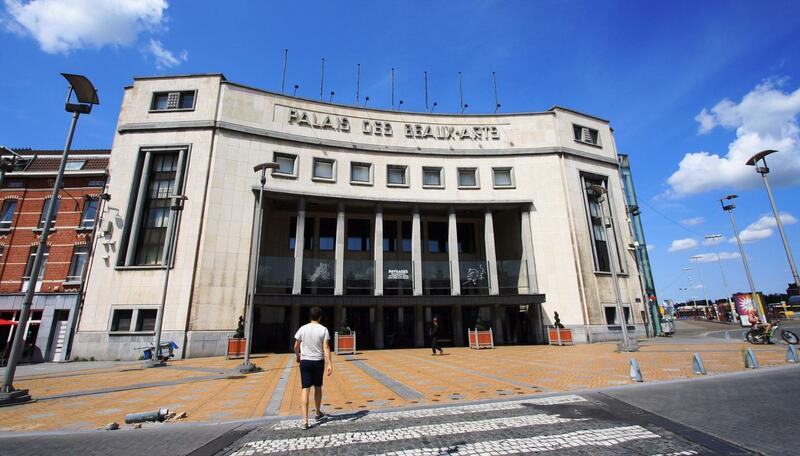 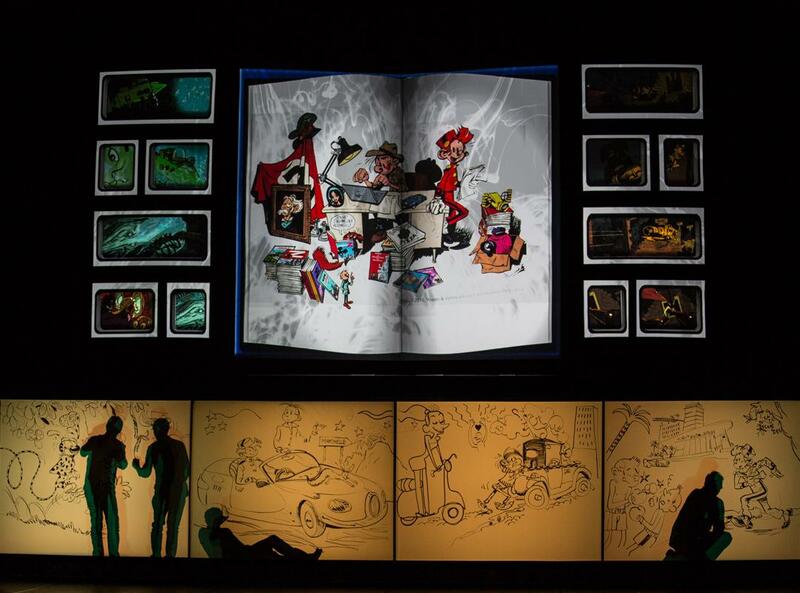 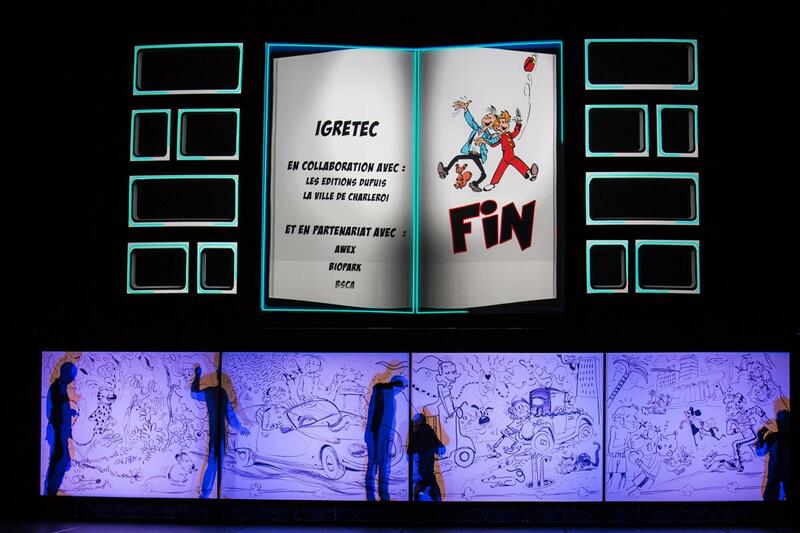 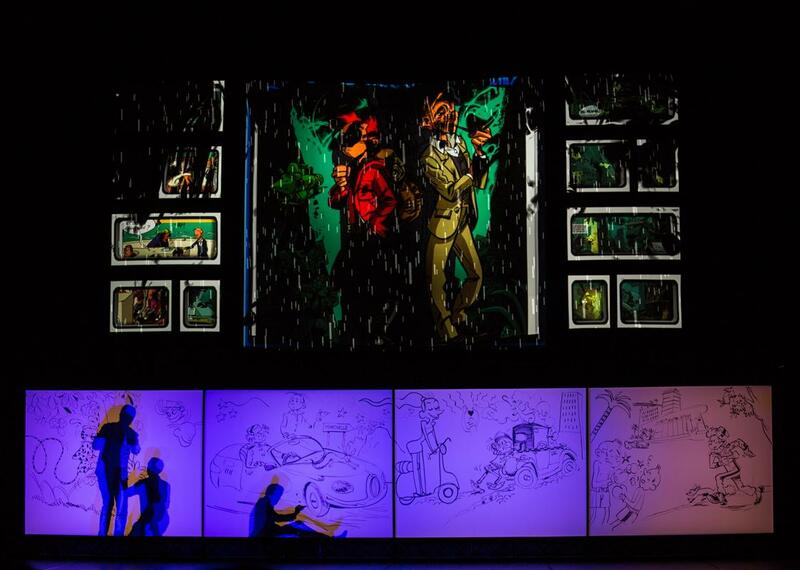 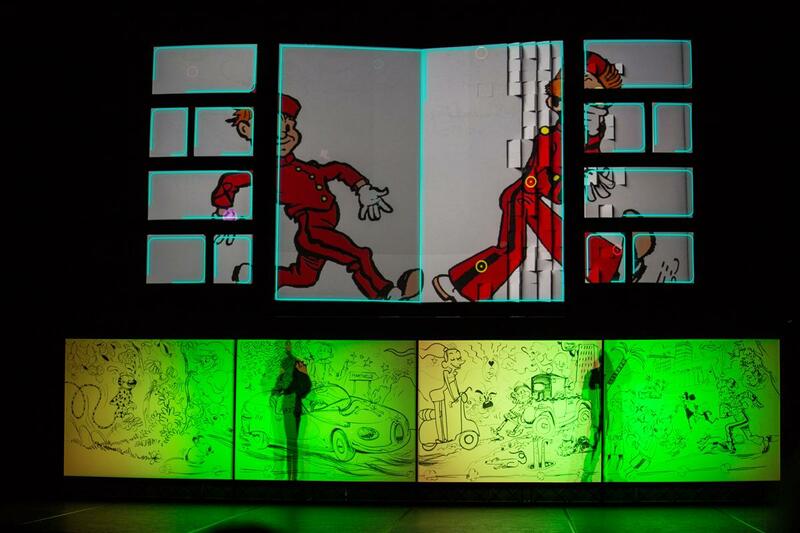 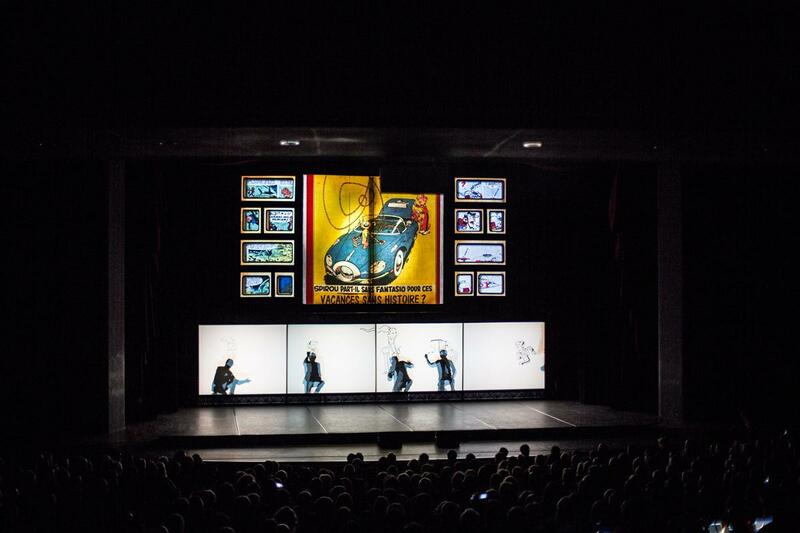 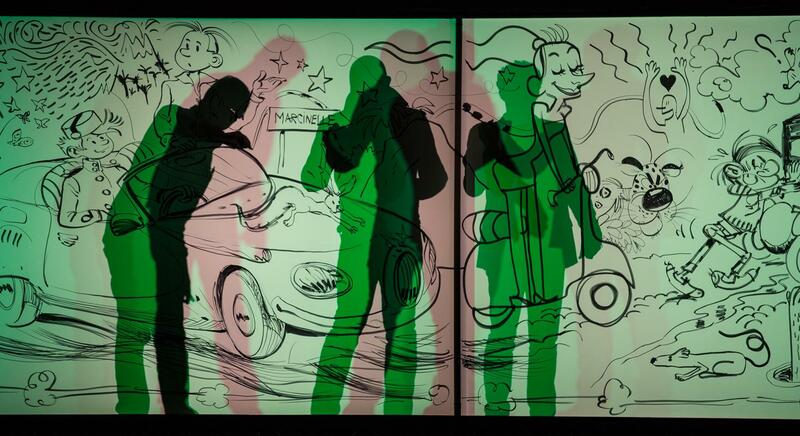 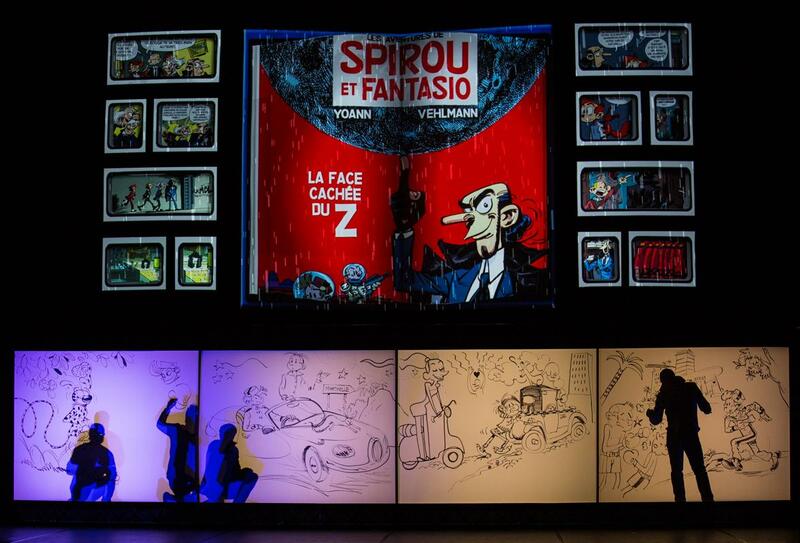 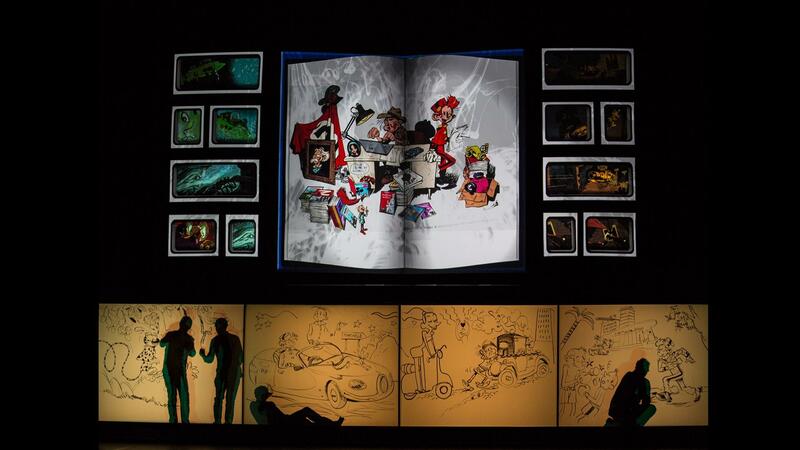 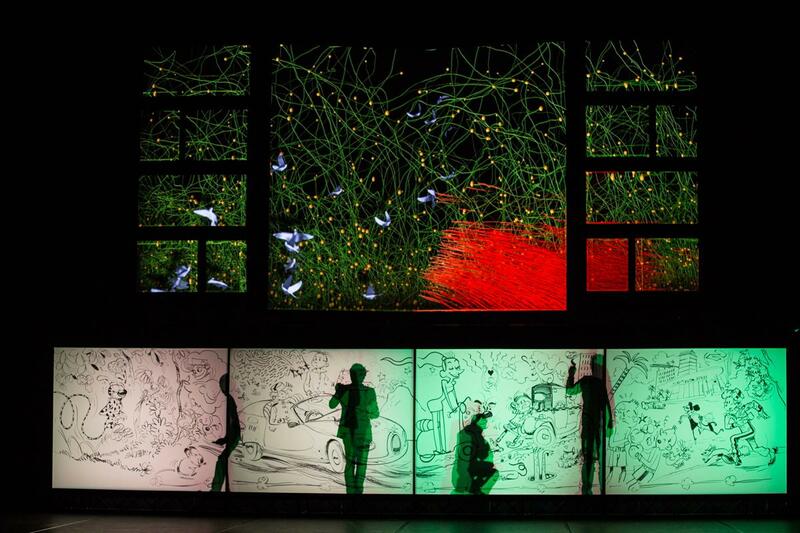 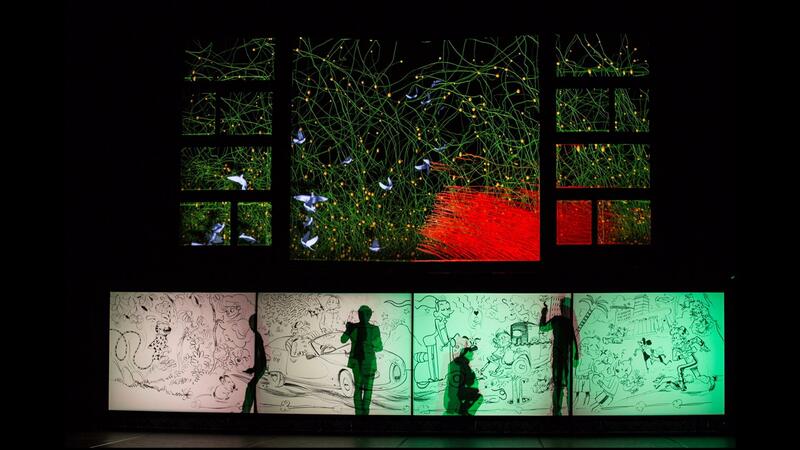 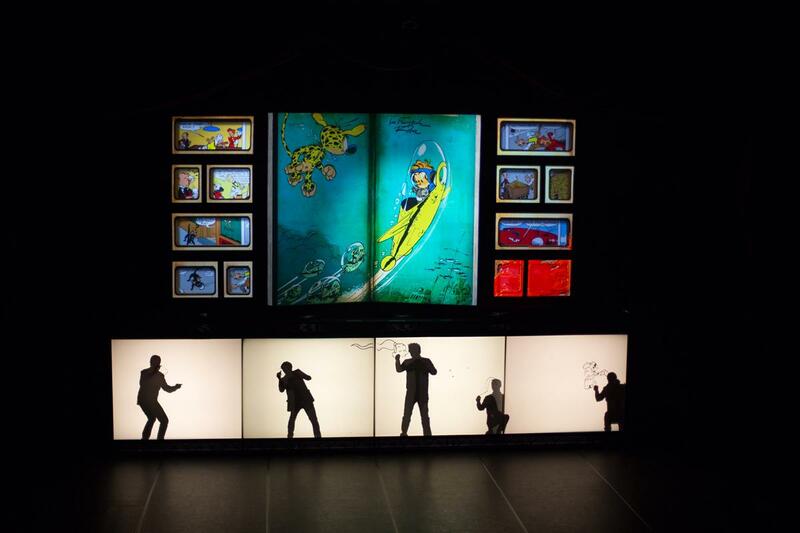 We have created a scenic design that allowed to propose a live show including a video mapping and live performances of famous comic artists as Batem, Saive, Grenson, Feroumont and Yoann. 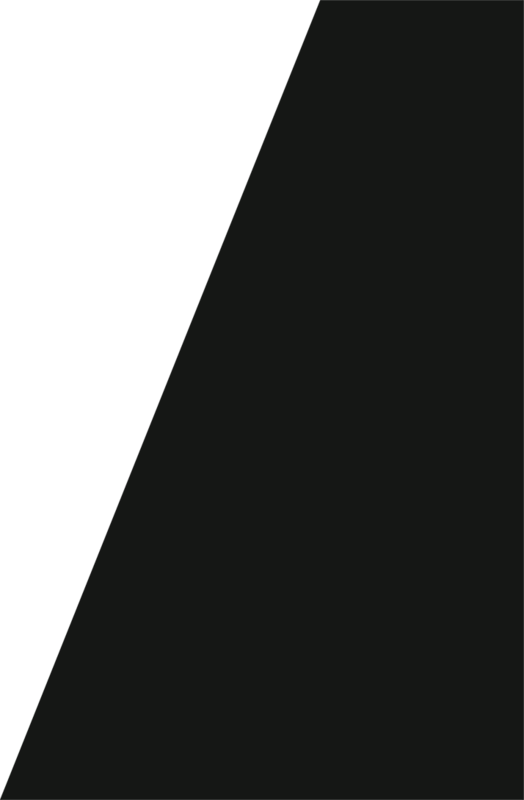 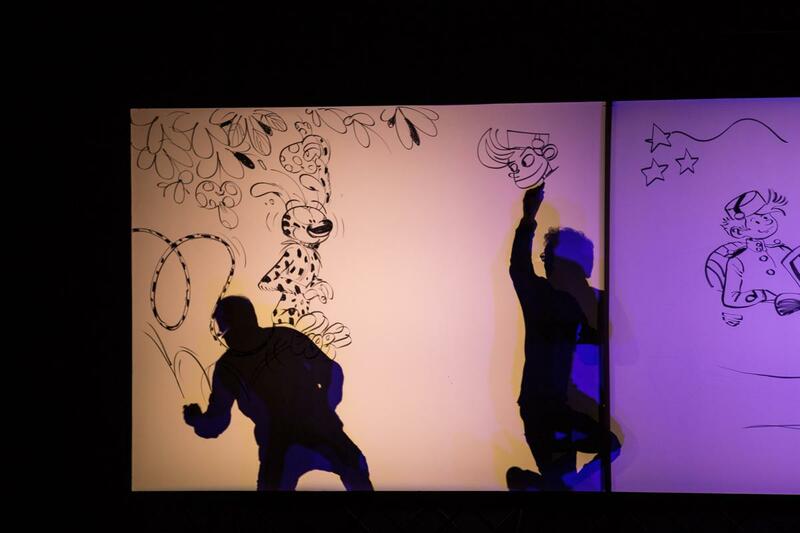 With this aim in mind, we divided the stage in two parts : an upper area where the video mapping projection was made and in addition to it a game of shadow puppet shapes in the lower area through a back-lighted canvas on which the artist drew. 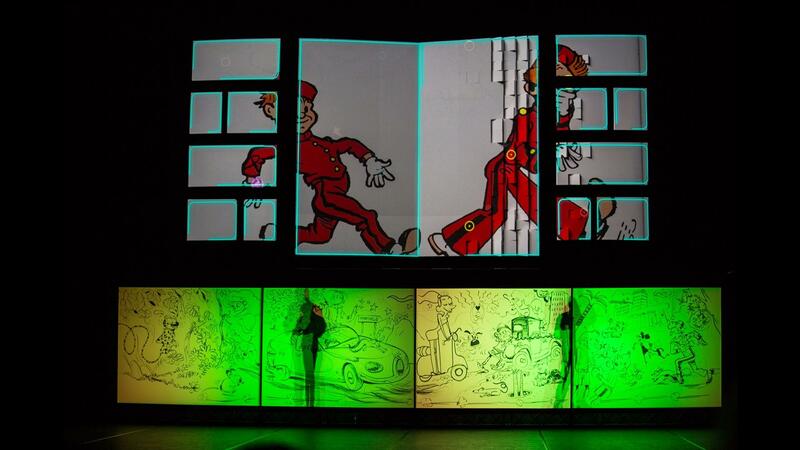 This show offered unforgettable memories to the more than 1400 people who attended this ludic and fascinating event.